Victor Ivanovici (March-June 2019), b. 1947, Tulcea, Romania. Graduated from the Foreign Languages School of the University of Bucharest and received his PhD from the “Babeş-Bolyai” University of Cluj. He has taught at the University of Bucharest, National and Kapodistrian University of Athens, Aristotle University of Thessaloniki (Greece). As a visiting professor, he held classes at the Universities of Barcelona and Las Palmas de Gran Canaria (Spain), UNAM and El Claustro de Sor Juana (Mexico), Concepción (Chile), Beer Sheva (Israel) and ”Bolivar”. in Guaranda (Ecuador). He is currently a professor emeritus of the Aristotle University of Thessaloniki. Fields of interest and research: Romanian literature, Spanish literature, Judeo-Spanish literature, Spanish-American literature, Modern Greek literature, Comparative Literature, Translation Studies. In Bucharest, Victor Ivanovici will teach a course on From Theorizing Translation to a Poetics of Translation. Vasileios Syros (2019) is currently a Royal Netherlands Academy of Arts and Sciences/KNAW Visiting Professor at Radboud University Nijmegen and the Principal Investigator for the research program “Political Power in the European and Islamic Worlds” at the Academy of Finland. His academic interests lie in the study of medieval and early modern Christian/Latin, Jewish, and Islamic political thought. Syros has published Marsilius of Padua at the Intersection of Ancient and Medieval Cultures and Traditions of Learning (University of Toronto Press, 2012); Die Rezeption der aristotelischen politischen Philosophie bei Marsilius von Padua (Brill, 2007); and Well Begun is Only Half Done: Tracing Aristotle’s Political Ideas in Medieval Arabic, Syriac, Byzantine, and Jewish Sources (ACMRS, 2011). His work has appeared in a number of international peer-reviewed journals, including Viator, Journal of Early Modern History, Medieval Encounters, Journal of World History, Philosophy East & West, History of Political Thought, and Revue des Études Juives. He has taught previously at Stanford University, McGill University, The University of Chicago, and the École Pratique des Hautes Études (Paris). Syros has held research fellowships at Columbia University, the University of Pennsylvania, Princeton University, the University of Michigan, and the Royal Society of Edinburgh. A Scientific History of Political Corruption: Early Modern Perspectives. The aim of this project is to explore early modern ideas about political corruption as one the principal causes and symptoms of the decline of the state. The distinctive contribution of the project will be to trace the theme of political and economic corruption in early modern political and scientific writing in comparative perspective. The focus will be on the medical terminology pervading political analysis, and links to contemporary concerns about “healthy” or rather “sick” and “anomalous” conditions” of a state and the diagnostic means of assessing them. Laura Bisaillon (November – December 2018) I am part sociologist, part anthropologist. My research agenda contributes to sociology and the subfields of health and illness, and socio-legal and migration studies. I use the social organization of knowledge approach and institutional ethnography from sociology as modes of inquiry. To date, the bulk of my work has focused on how policy, law and various forms of regulation shape the lives of people with illness, disease, and disability, with a focus on HIV/AIDS. Screening and Screaming in Exile is the name of my monograph; currently under review with the University of British Columbia. I joined the University of Toronto in 2013, and I have done ethnographic fieldwork in Eritrea, Ethiopia and Iran. I am assistant professor with undergraduate appointment in the Political Science Department and the Interdisciplinary Centre for Health and Society. My graduate appointment is at the Social Justice Education Department and the Centre de recherches en éducation franco-ontarienne of the Ontario Institute for Studies in Education. RedED Africa is the name of my recent project being carried out in collaboration with social anthropologist, associate professor Lorena Anton, University of Bucharest. We are exploring the production and circulation of scholarly and creative knowledges between the Horn of Africa and Eastern Europe. We are using approaches from memory studies to query the people, places, practices, and politics in higher education exchanges between Ethiopia/Eritrea and Romania during the Cold War. In late 2018, we will carry out archival research in Bucharest. Our work converses with and extends an emerging body of scholarship investigating knowledge intersections this post-War period. Sorin Bangu (June 2018) is Professor in the Department of Philosophy, University of Bergen, Norway. Before joining the department in the Fall of 2012, he taught at University of Cambridge, History and Philosophy of Science Dept. (2008-2010) and University of Illinois at Urbana-Champaign Philosophy Dept. (2010-2012) He received a PhD in Philosophy from the University of Toronto and studied philosophy and mathematics at Univ. of Bucharest. His area of specialization and competence is contemporary philosophy of science. More specifically, his work straddles the boundaries of philosophy of mathematics and philosophy of physics, with a component in the foundations of probability and statistics. He has longstanding interests in epistemology and the history of analytic philosophy, focusing on Quine and Wittgenstein. He is involved in the activities of the Wittgenstein Archives at Univ. of Bergen and member in the editorial board of the Springer book series Nordic Wittgenstein Studies. He published many articles in these fields and recently edited a book, ‘Naturalizing Logico-Mathematical Knowledge: Approaches from Philosophy, Psychology and Cognitive Science’, forthcoming from Routledge in 2018. In 2012 he published a monograph, ‘The Applicability of Mathematics in Science: Indispensability and Ontology’ (Palgrave Macmillan). During the fellowship he will lead seminars and discussions on recent developments in logic, philosophy of science and mathematics. Fabrizio Bigotti (May-July 2018) is Research Fellow at the Centre for Medical History of the University of Exeter (UK) and Director of the Centre for the Study of Medicine and the Body in the Renaissance (CSMBR) Pisa. He Studied at the University of Rome ‘La Sapienza’ and at the Warburg Institute of London (2012-2013) receiving afterwards numerous grants and awards, including the Wellcome Trust Fellowship in Medical Humanities (2015-2018) and the Folger Institute Fellowship at the Folger Shakespeare Library of Washington DC (February-May 2017). As an Intellectual Historian with a specialization in History and Philosophy of Science, Medicine and Technology he has published widely, in Italian and English, on the development of the classical tradition in the early modern period. In his forthcoming monograph Physiology of the Soul. Mind, Body, and Matter in the Galenic Tradition of the Late Renaissance 1550-1630 (Brepols 2018) he explores how the understanding of the body changed in the early modern period in connection to the rediscovery and criticism of Galen’s physiology, and how this debate contributed to the emergence of new methods of natural enquiry. Most recently Fabrizio Bigotti has concentred on the history of technology, devoting himself to the recreation of Santorio’s medical laboratory (2017, in cooperation with engineer David Taylor) and uncovering numerous manuscripts on the social and political connections between Galileo, Santorio and the Venetian society of the end of the sixteenth century. During his sojourn at IHR-ICUB Fabrizio Bigotti will run the project Diagrams of Latitude. Representing Intensity in Early Modern Medicine and Natural Philosophy (1450-1650) which underlines the role of Scholastic thought in shaping forms of quantification and visualisation of qualities as related to the intensity of body temperaments, magnitude of disease and intensity of drugs and how these achievements were assimilated, reflected, and eventually transformed in the works of Santorio Santori, Marek Marci and Gottfried Wilhelm Leibniz. Călin-Andrei Mihăilescu (May – June 2018) (b. Bucharest, 1956; Ph.D. Toronto, 1992) is a Romanian-Canadian Professor of literature and philosophy, and a writer (of academic scripts spanning a number of disciplines, of prose, poetry, essay, plays, film scripts, children stories, etc). His recent volumes include Happy New Fear! (in Romanian; Bucharest, 2011), “Literary Theory and the Sciences” (in English; ed. ; Neohelicon 41.2, 2014), Matei Călinescu Festschrift (in English; ed., Yearbook of Comparative Literature 59, 2016), Policing Literary Theory (in English; ed., Leiden, 2018), and two volumes in Romanian slated for publication this Spring in Bucharest: AFKA (short prose), and Ion Stratan’s anthology Criminalii şi crinii (The murderers and the lilies; ed.). He is currently working on a few book projects, among which Deunamor (in Romanian), Un mundo astrocéntrico (in Spanish), a few volumes of poetry in English, French, and Romanian, as well as – all in English – the ongoing online Romanian Literature and CultureEncyclopaedia (senior ed., London), Beforia (short prose pieces), and the multi-volume Erosophy (counter-philosophy). His fields of expertise, in which he taught, lectured, and published widely, include Comparative Literature, Literary Theory, Critical Theory, History of Romance, English, German, Romanian, Central-East European and Classical Literatures, Philosophy (history of ~, ontology, aesthetics, epistemology, ethics, political ~), History of Religions, Mysticism, Magic, Semiotics, General Linguistics, Translation Theory, Film Studies, and Creative Writing. Baroque Avatars in Modern Poetry. This series of Master seminars, which will run twice a week from May 1st through 31st, 2018, at University of Bucharest’s Faculty of Letters, will attempt to (1) situate the great diversity of modern poetry within a framework drawn from both the historical baroque (17th c.), and the early modernism of the 19th century; and (2) to place a series of Romanian poets within the dominant trends of 20th -21st c. world poetry. The seminars will offer a wealth of literary and theoretical material, from (to sample) Quevedo, Miron Costin, and Baudelaire to Cavafis, Huidobro, Ahmatova, Montale, Szymborska, and Ion Mureşan. Among the theorists and critics discussed are Walter Benjamin, Roman Jakobson, Gilles Deleuze, Hugh Kenner, and Matei Călinescu. The series will open with a public lecture, “Baroque Rebounds in Modern Lyric,” will continue with interactive seminars, and will end by having a selection of students’ final essays published as a volume. Erosophy vs. Philosophy. This ICUB Lunchtime Seminar presentation outlines an in progress, multi-volume project aimed at drafting a fresh intellectual “discipline.” As opposed to theology (which creates transcendence), and philosophy (which creates immanence), erosophy creates intimacy. Understood erosophically, intimacy is corporeal, inductive, counter-conceptual, counter-judgmental, and genealogical. Here immediacy, which always comes too late, is warped and melancholy; as its present pre-senses, interpretation and prediction are tendencies absorbed in creation. The seminar presentation will go on to focus on Descartes’ Traité des passions de l’âme (1649) considered within the context of his work. Koen Vermeir (Started in April 2018) is a Research Professor (CR1) at the French National Centre for Scientific Research (CNRS). After graduate studies in theoretical physics, in philosophy and in history of science, in Leuven, Utrecht and Cambridge, he has held research positions at the Fund of Scientific Research-Flanders, the Max-Planck-Institute for the History of Science, Harvard University, and Harvard’s Radcliffe Institute for Advanced Studies. Vermeir was also visiting fellow at Cambridge, Oxford and Cornell Universities, and visiting professor at the ETH Zürich. Vermeir is specialized in the history of philosophy and science, with a special interest in the interconnection between natural philosophy, technology and religion. He has studied, for instance, how religious and magical thought have contributed to the rise of experimental science and he has reflected on the consequences for our notions of rationality and modernity. Science and imagination are closely related, especially when scientists have tried to understand strange, incredible or even seemingly impossible events. Such contested work at the borders of the unknown also inspires doubt, however (psychosomatic phenomena and human-induced climate change would be historical and contemporary examples), raising the urgency of boundary work. Koen Vermeir is committed to show the significance of the history and philosophy of science for the sciences as well as for the public perception of science. He has studied aspects of the early institutionalization of science and the science/society interface. He is a member of the Global Young Academy and is active in policy making, science policy and science advice. Cornelia Ilie (March 2018) is Professor of Linguistics and Rhetoric at Malmö University, Sweden and Visiting Professor at Hellenic American University, Athens, Greece. She was research fellow at Lancaster University, UK and research scholar at U.C. Berkeley, and held visiting professorships at universities in Austria, Finland, Greece, Italy, Romania, Spain, and the UK. She is the founder and president of ESTIDIA (European Society for Transcultural and Interdisciplinary Dialogue), Board member of IPrA (International Pragmatics Association), and Member of the Reference Group of Experts (Higher Education and Education for All) of the IAU (International Association of Universities). Her research interests are interdisciplinary and internationally anchored. She has coordinated several international networks and research projects, such as ERN-LWE – The European Research Network on Learning to Write Effectively, funded by COST Action IS0703 (2009-2012); GENPARDIS – Gender and parliamentary discourse practices (in the U.K. Parliament and the Swedish Riksdag), funded by the Swedish Research Council (2010-2013); Multichannel banking communication: An investigation of the challenges of customer-centric multichannel banking in the UAE and Italy, funded by Zayed University RIF grant R14117 (2014-2016). She is Associate Editor of the international refereed journal Palgrave Communications and member of the editorial board of several refereed journals, such as Argumentation: An International Journal on Reasoning; Journal of Argumentation in Context (JAIC); Journal of Language Aggression and Conflict (JLAC); Mots: Les langages du politique; Eris-Rivista internazionale di argomentazione e dibattito; Studii de Lingvistica. Prof. Ilie has published extensively on institutional pragmatics and discourse practices (particularly political, media and academic discourses), intercultural rhetoric and argumentation. In addition to numerous book chapters, refereed journal and encyclopedia articles, her recent publications include the following books: The use of English in institutional and business settings: An intercultural perspective (Peter Lang, 2007); European parliaments under scrutiny: Discourse strategies and interaction practices (John Benjamins, 2010); Evolving genres in web-mediated communication (Peter Lang, 2012); International Encyclopedia of Language and Social Interaction (Wiley-Blackwell, 2015); Parliaments and parliamentarism: A comparative history of disputes about a European concept (Berghahn Books, 2016); Argumentation across communities of practice: Multi-disciplinary perspectives (John Benjamins 2017); Challenging leadership stereotypes through discourse: Power, management and gender (Springer 2017). Nancy S. Jecker (December 2017) received Bachelor’s and Master’s degrees in philosophy from Stanford University and received a second Master’s and a Ph.D. degree in philosophy from the University of Washington, Seattle. A two-time Rockefeller Foundation awardee, two-time National Endowment for the Humanities awardee, and Brocher Foundation Resident Scholar, Jecker has traveled extensively throughout Asia. She was a visiting professor at the Chinese University of Hong Kong Centre for Bioethics in 2016 and is scheduled to be a visiting professor at the National University of Singapore Yong Loo Lin School of Medicine, Centre for Biomedical Ethics in 2018. Jecker has published over 100 articles and 3 books on philosophy and bioethics. She is currently working on a 4th book, which is tentatively titled The Life Stage Relativity of Values: Midlife Bias and Old Age. Her current research focuses on global population aging, intergenerational justice, the allocation of scarce resources and justice theory. Donca Steriade (November-December 2017) is the Class-of-1941 Professor of Linguistics at the Massachusetts Institute of Technology and a Fellow of the Linguistics Society of America since 2014. Before her PhD in Linguistics from MIT, she studied in the Faculty of Classics of the University of Bucharest. She has taught phonology at the University of California, Berkeley (1982-1984), the University of California, Los Angeles (1989-2002) and at MIT (1984-1989 and since 2002). She has held the Edward Sapir Professorship at the 2009 Linguistics Institute (UC Berkeley) and was the 2016 Karl Brugmann Fellow at the University of Leipzig. She is the editor, with Bruce Hayes and Robert Kirchner, of Phonetically Based Phonology (Cambridge University Press 2004). Her research interests are in phonetics-phonology interactions and morpho-phonology, with focus on the classical languages and modern Romance, including Romanian. Recent projects include reanalyses of morphomic phenomena (Steriade 2016) and of the mechanisms involved in the cyclic application of phonological processes (Steriade 2008, Steriade 2012, Steriade and Yanovich 2016, Stanton and Steriade 2017, in prog. ); analyses of quantitative rhythm (Steriade 2017a) and revisions in the structure of syllable-sized rhythmic units (in progress). Jennifer Radden (Octomber-November 2017) is Professor emerita of Philosophy at the University of Massachusetts Boston, holding degrees in philosophy and psychology from Melbourne University, and a doctorate of philosophy in Philosophy from Oxford. She has published extensively on mental health concepts, the history and philosophy of psychiatric medicine, and ethical and policy aspects of clinical practice. Monographs include On Delusion (2011), and Melancholy Habits: Burton’s Anatomy for the Mind Sciences (2017), as well as two edited collections, The Nature of Melancholy (2000) and Oxford Companion to the Philosophy of Psychiatry (2004). The Fellowship project involves the completion of an entry on ‘mental illness’ in the Stanford Encyclopedia of Philosophy. Beyond recognition that the manifestations of such conditions are painful and disabling, there is little theoretical (or societal) agreement over the category. Theorists have challenged the ontological status of mental disorders, the epistemology underlying their traditional DSM and ICD-type classifications; their relation to the models employed by the rest of medicine; their particular tie to phenomenological method; implications for them within today’s neuro-scientific findings, and their relation to social norms governing rationality, self identity, and personal responsibility. A 10,000 word encyclopedia entry must accurately yet accessibly depict the controversies arising from a range of broadly philosophical and methodological questions: What kind of entity is mental illness? Does it differ fundamentally from other illnesses? How should we go about finding out about it? What are its causes and antecedent risk factors? What social norms frame our understanding and treatment of it? What are its implications for personal identity, and responsibility? Matteo Valleriani (October 2017) is senior research scholar at Dept. 1 of the Max Planck Institute for the History of Science. In his research, he investigates the process of the emergence of scientific knowledge in relation to its practical, social, and institutional dimensions. In this frame, and in reference to the early modern period, his major projects have been dedicated to Galileo’s science (Galileo Engineer, Springer, 2010) and to Nicolò Tartaglia’s ballistics (Metallurgy, Ballistics and Epistemic Instruments: The “Nova Scientia” of Nicolò Tartaglia. A New Edition, Edition Open Access, 2013). Affliated to the Excellence Cluster Topoi, he investigated the emergence of hydromechanics in classical antiquity (Hydrostatics and Pneumatics in Antiquity, in G. L. Irby (ed. ), A Companion to Science, Technology, and Medicine in Ancient Greece and Rome, Wiley-Blackwell, 2016). Matteo Valleriani worked on the processes of the appropriation of ancient science during the early modern period. He edited an issue of Nuncius (Appropriation and Transformation of Ancient Science, Nuncius, 29, 2014), which contains his final contribution to the study of the appropriation of ancient pneumatics through early modern garden technology (Ancient Pneumatics Transformed During the Early Modern Period, Nuncius, 29, 2014, 127–174: also: http://pratolino.mpiwg-berlin.mpg.de). His current major project is concerned with the evolution of the scientific knowledge system in Europe from the thirteenth to the seventeenth centuries that revolved around cosmological knowledge. In the frame of digital humanities, Matteo Valleriani implements methods of network analysis in history writing. At the IRH-ICUB Matteo Valleriani will run a project that focuses on images of science of epistemic vehicles and specifically on cosmology astrology, medicine, pharmacology, alchemy and anatomy between the fourteenths and the sixteenth century. Together with other members of the IRH-ICUB, Matteo Valleriani will also organize and execute a masterclass dedicated to Galileo’s science and method as well as on their impact. Stefano Gulizia (October–November 2017) is a classical philologist and intellectual historian who has developed a particular interest in early modern science and philosophy, and who has taught a variety of disciplines as a college professor in the USA since 2002. He graduated from the University of Milan and holds a PhD from Indiana University, Bloomington. His most recent work has focused on three main areas: rhetoric and print culture (Humanistica, 2015; Erasmus Studies, 2017), nature and history of knowledge (Society and Politics, 2014; two edited chapters in Olomouc, 2015 and Paris, 2017), and Venetian science (Philosophical Readings, 2015; Nuncius, 2016). His current book manuscript is entitled Peripatetic Houses: Domesticating Aristotelian Learning in Seventeenth-Century Padua, written at the intersection between natural empiricism and the history of collecting. Later in 2017, he will execute a research grant on “The Ethics of Natural Knowledge: The European Reception of Aristotelian Meteorology, 1450-1650” in Wolfenbüttel. In 2018, he will begin a new investigation at the University of California on the Greek diaspora in the Mediterranean and Reformation Germany, specializing on the historical application of network analysis in the study of the book trade and its business structures. At the IRH-ICUB Stefano Gulizia will run a project dedicated to “Mapping Scientific Networks and Reading Practices in Early Modern Italy,” which takes a fresh look at the information technology of Galileo’s entourage and argues for the insufficiently acknowledged function played by the philological tool-box (letter-writing, note-taking, marginalia, and so on) for the shaping of new science; within this framework he will also lead a reading group on Galileo’s humanist methods as part of the masterclass organized in Bucharest by Mihnea Dobre, Dana Jalobeanu, and Matteo Valleriani. In addition, he will offer a block course on philosophical genres as epistemic vehicles and on Aristotelian natural history through ‘problem texts’ from antiquity to the seventeenth century. Finally, on November 2, he will lecture on Francesco Patrizi as originator of intellectual arguments for English Baconians. Roberta D’Alessandro (October 2017) is professor of Syntax and Language Variation at Utrecht University (UiL-OTS), and former Chair professor of Italian Language and Culture at Leiden University. She has received an ERC Consolidator grant to work for her project Microcontact. Language Variation and Change from the Italian Heritage perspective. She is editor-in-chief of the Brill series Grammars and Sketches of the World’s Languages– Romance, and co-editor of the Open Access syntax monograph series Open Generative Syntax with Language Science Press. She is a member of the Committee for the Freedom and Responsibility in the Conduct of Science (CFRS) of the International Council for Science (ICSU); she is a member of the Global Young Academy, and an alumna of the Young Academy of the Royal Netherlands Academy of Arts and Science (KNAW). In 2014, she was knighted in the Order of the Star by the President of Italy for the contribution given to the documentation and preservation of Italian dialects. In Bucharest, Roberta D’Alessandro will give lectures on Romance microvariational syntax, and work with the local group at the development of a EU project on Romance minorities. Roberto Giuntini (September-October 2017) is full professor of Logic and Philosophy of Science at the University of Cagliari. He is president of the Italian Society for Logic and the Philosophy of Sciences (SILFS) and past president of the International Quantum Structures Association (IQSA). His scientific activity is mainly devoted to the logico-algebraic structures of quantum mechanics (Reasoning in Quantum Theory, with M. L. Dalla Chiara and R. Greechie, Kluwer, 2004), quantum computation (“Compositional and holistic quantum computational semantics”, with M. L. Dalla Chiara, R. Giuntini, R. Leporini, Natural computing, 6, 2007, pp. 113–132) and to some applications of the quantum formalism to machine learning, pattern recognition (‘’A quantum-inspired version of the classification problem”, G. M. Bosyk, R. Giuntini, E. Santucci, G. Sergioli, International Journal of Theoretical Physics, first on line, 2017) and to the semantic analysis of musical languages (From Quantum Information to Musical Semantics, with M. L. Dalla Chiara, R. Giuntini, E. Negri, R. A. Luciani, College Publications, London, 2012). At the IRH-ICUB, Roberto Giuntini will run the project Fuzzy and quantum degrees of truth, where it will be investigated how the recent developments of quantum computation have dramatically changed the received view about the logic of quantum mechanics (which traces back to the seminal work of Birkhoff and von Neumann (1936)), and the foundation of quantum mechanics. Within this framework, he will deliver a six-hour course on “sharp and unsharp quantum logics” and on October 12 he will lead a Lunchtime seminar on “The Turing-Church thesis in the age of quantum computation”. Together with Prof. M. Dobre and Prof. L. Leuștan, he has organized the Workshop “Fuzzy Logic meets Quantum Logic: The first joint Bucureşti-Cagliari Logical Meeting (BuCaL17), which will be held at the ICUB on September 25-27. Dimitris Michalopoulos (May 2017) Was born in Athens in 1952. He obtained his Ph.D. in History (1978), at the École des Hautes Études en Sciences Sociales, Paris, France. From 1982 to 1994 he taught Diplomatic History and Balkan Issues at the Law School of the University of Salonica as an assistant professor. During the years 1989 – 1997 he taught Naval and European History at the Naval War College of Greece; and from 1990 to 2000 he was the Director of the Museum of the City of Athens. Now he is an academic cooperator with the Institute of Hellenic Maritime History. His publications include: Vie politique en Grèce pendant les années 1862 – 1869 (Athens University Press, 1981 [in French]). Greece and Albania, 1923 – 1928 (Salonica: Parateretes, 1986 [in Greek]). Greece and Turkey, 1950 – 1959. The lost rapprochement (Athens: Roés, 1989 [in Greek]). The Greek National Schism (Athens: Trochalia, 1997 [in Greek]). Attitudes parallèles. Éleuthérios Vénisélos et Take Ionescu dans la Grande Guerre (Athens: “Eleutherios Veniselos” Historical Institute, 2004 [in French]; and second edition, in French too, in 2005). Arsaki. La vie d’un home d’État (Bucharest: Editura Academiei Române, 2008 [in French]). Les Argonautes (Paris: Dualpha, 2013). The Evolution of the Hellenic Mercantile Marine through the Ages (The Piraeus: Institute of Hellenic Maritime History, 2014 [in Greek and English]). La révolution grecque de 1862 et l’insurrection crétoise de 1866. Conséquences politiques et complications diplomatiques, Istanbul: Les éditions Isis, 2016. Homer’s Odyssey beyond the Myths (The Piraeus: Institute of Hellenic Mercantile Marine, 2016). Thomas J. Cousineau (May 2017) Professor of English (Emeritus) at Washington College and former Fulbright Scholar in American Studies at the University of Bucharest, is the author of After the Final No: Samuel Beckett’s Trilogy, Waiting for Godot: Form in Movement, Ritual Unbound: Reading Sacrifice in Modernist Fiction, Three-Part Inventions: The Novels of Thomas Bernhard, and editor of “Beckett in France,” a special issue of the Journal of Beckett Studies. His most recent book, An Unwritten Novel: Fernando Pessoa’s The Book of Disquiet, received an “Outstanding Title” citation from the American Library Association. A longtime member of the Colloquium on Violence and Religion, a group of scholars that explores and expands the cultural critic René Girard’s ideas on mimetic desire and the practice of scapegoating, he has recently become intrigued by the convergences between Girard’s work and that of Mircea Eliade (particularly the latter’s commentaries on the legend of Master Manole) and is currently writing a book to be titled The Séance of Reading Uncanny Designs in Modernist Writing that grows out of this interest. The website for his project is available at https://sites.google.com/site/thedaedaluscomplex/home. Martin Maiden (January – February 2017) is Professor of the Romance Languages at Oxford, a Fellow of Trinity College, Oxford (since 1996), and Director of the Oxford Research Centre for Romance Linguistics (since 2007). He has been a Fellow of the British Academy since 2003. He studied at Cambridge University (PhD. in Linguistics 1987). From 1982-1989 he taught Italian at Bath University, and from 1989-1996 Romance Philology at Cambridge University. He was Vice-President of the Società Linguistica Italiana (2003-2004). He holds an honorary doctorate from the University of Bucharest (2013). In 2014 he was appointed ‘Commander’ in the ‘National Order for “Faithful Service”’ of Romania. He is an editor of, and contributor to, The Cambridge History of the Romance Languages (2011/2013) and The Oxford Guide to the Romance Languages (2016). His particular research interests are in Italian and Romanian linguistics and dialectology, historical linguistics, and morphology. His lectures in Bucharest will be entitled Lecții de morfologie istorică romanică și românească. Massimo Leone (January – February 2017) is Professor of Semiotics, Cultural Semiotics, and Visual Semiotics at the Department of Philosophy, University of Turin, Italy. He graduated in Communication Studies from the University of Siena, and holds a DEA in History and Semiotics of Texts and Documents from Paris VII, an MPhil in Word and Image Studies from Trinity College Dublin, a PhD in Religious Studies from the Sorbonne, and a PhD in Art History from the University of Fribourg (CH). His work focuses on the role of religion in modern and contemporary cultures. Massimo Leone has single-authored seven books, edited thirty collective volumes, and published more than three hundred articles in semiotics and religious studies. He has lectured in Africa, Asia, Australia, Europe, and North America. He is the chief editor of Lexia, the Semiotic Journal of the Center for Interdisciplinary Research on Communication, University of Turin, Italy, and editor of the book series “I Saggi di Lexia” (Rome: Aracne) and “Semiotics of Religion” (Berlin and Boston: Walter de Gruyter). He directs the MA Program in Communication Studies at the University of Turin, Italy. Liviu Giosan (October 2016 – September 2017) is a geoscientist with the Woods Hole Oceanographic Institution (USA) and teaches in the Massachussets Institute of Technology/Woods Hole Oceanographic Institution Joint Program in Oceanography/ Applied Ocean Science and Engineering. His current research addresses the interactions between climate, landscapes and humans. His work published in leading science journals and reported in the international media includes contributions on drowning river deltas under human-induced climate changes; the Black Sea deluge hypothesis, or the so-called “Noah’s Flood”; the long term impact of deforestation on the Black Sea ecosystem; and the collapse of the ancient urban Indus Valley Civilization on the Indian Subcontinent. At ICUB, Liviu Giosan will run a project dedicated to ‘Understanding the Anthropocene in Romania’ that seeks to explore the long history of Nature-Humans interactions on the Romanian territory and neighboring regions through interdisciplinary collaborations involving physical sciences and humanities. Gabriel Sandu (September – October 2016) born in Bukarest, 1954, arrived in Helsinki in the late 70s after taking a degree in economics at the Academy of Economic Studies of Bucharest. He studied philosophy at the University of Helsinki where he also took his doctoral degree with Jaakko Hintikka. He became professor of theoretical philosophy at the same university in 1998. During 2004-2008 he was Directeur de recherches at CNRS (IHPST/Paris 1/Ecole Normale Supérieure) and in 2008 he was appointed Professeur des Universités, at Paris 1, Panthéon-Sorbonne. At present he is the head of theoretical philosophy of the Department of Philosophy, History, Culture and Art Studies of the University of Helsinki. Gabriel Sandu worked with Jaakko Hintikka on applications of game-theory to natural language phenomena. Starting with late 80s they developed a system of logic (IF logic), which expresses certain relations of dependence and independence between quantifiers and connectives that cannot be expressed by ordinary first-order logic. Apart from their greater expressive power, IF languages also allow for an interesting combination between truth-conditional and probabilistic interpretations. Peter Anstey (March – July 2016) is ARC Future Fellow and Professor of Philosophy at the University of Sydney. In 2016 he will be Visiting Professor in Residence at the Institute for Research in the Humanities, University of Bucharest from March to July. He specializes in early modern philosophy with a special focus on John Locke. His current ARC-funded research project is on ‘The nature and status of principles in early modern philosophy’. He is author of John Locke and Natural Philosophy, Oxford, 2011 and editor of The Oxford Handbook of British Philosophy in the Seventeenth Century, Oxford, 2013. Cristina Ionescu (May – June 2015) is Assistant Professor of Philosophy at Catholic University of America, Washington, USA. Her area of specialization is the ancient philosophy. She published Plato’s Meno: An Interpretation (Lanham, Md. : Rowman & Littlefield, 2007), and a number of articles, such as: “Recollection and the Method of Collection and Division in the Phaedrus.” Journal of Philosophical Research (forthcoming); “Dialectical Method and the Structure of Reality in the Timaeus.” Ancient Philosophy 30 (2010): 299–318; “Hybrid Varieties of Pleasure and the Complex Case of the Pleasures of Learning in Plato’s Philebus.” Dialogue47 (2008): 1–23. “The Unity of the Philebus: Metaphysical Assumptions of the Good Human Life.”Ancient Philosophy 27 (2007): 55–75; “The Transition from the Lower to the Higher Mysteries of Love in Plato’s Symposium.” Dialogue 46 (2007): 27–42. Her current research focuses mainly on metaphysical themes in Plato’s late dialogues. In Bucharest, Cristina Ionescu will give lectures on Plato’s Statesman at the Masterclass “Plato and Platonism” (May-June 2015). 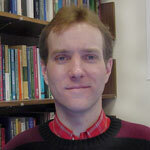 Edward Slowik (May 2015) is Professor in Philosophy at Winona State University, Winona, MN, USA. His area of specialization is the history and philosophy of science, with emphasis on the philosophy of space and time and physics in the Early Modern period. He has published Cartesian Spacetime (Kluwer, 2002), and many articles. He is currently working on a manuscript that explores alternative conceptions of the ontology of space that lie outside the traditional substantivalist and relationist categories. In Bucharest, Edward Slowik will participate at the Masterclass “The Mathematization of natural philosophy in the Early Modern period” and at the Workshop “Natural history, mathematics, and metaphysics in the seventeenth century”(May 2015).